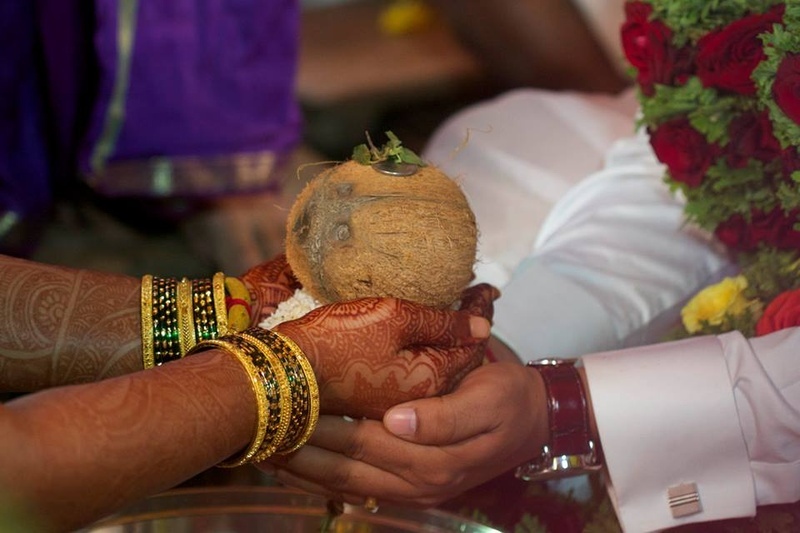 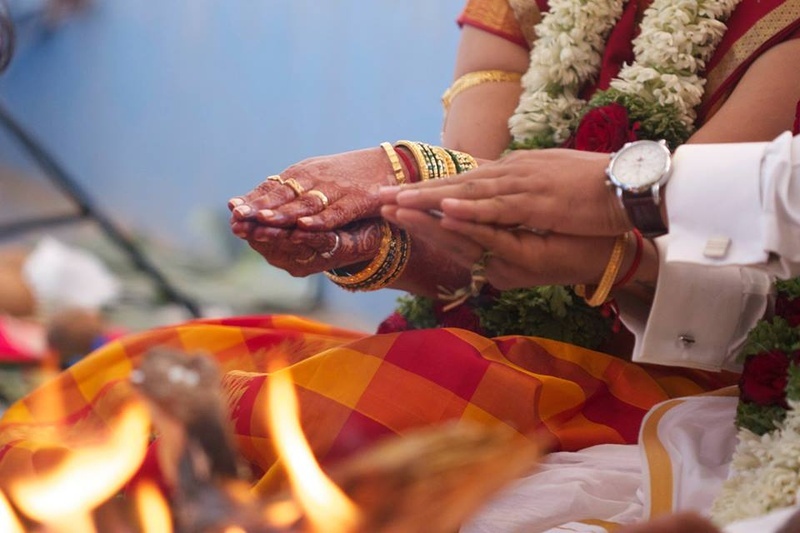 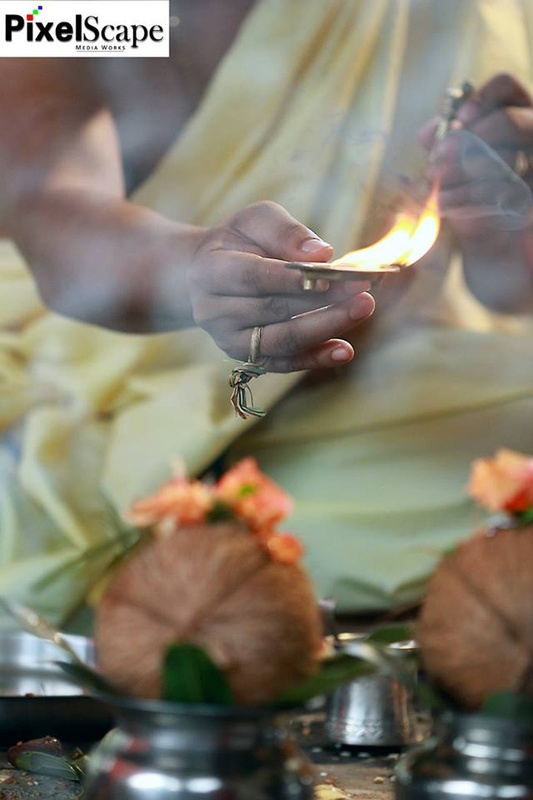 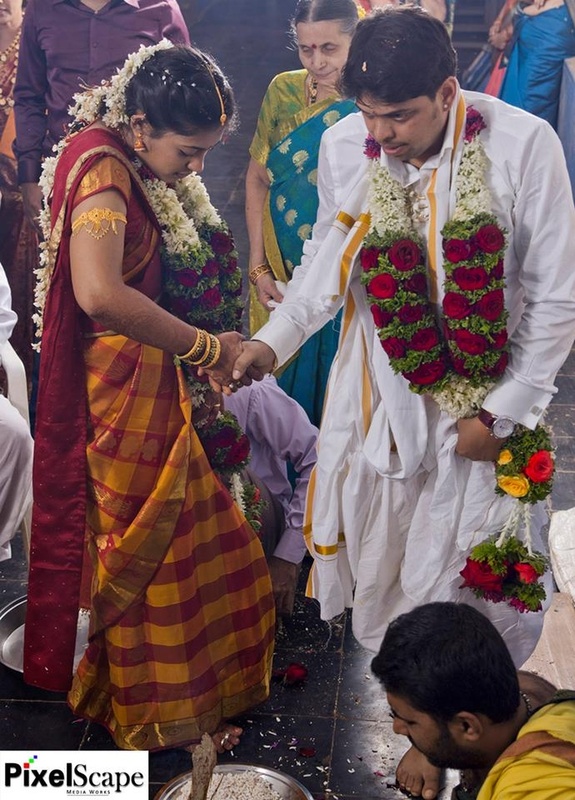 Shama and Arvind tied the knot in a simple South Indian wedding that was filled with multiple rituals and traditions. 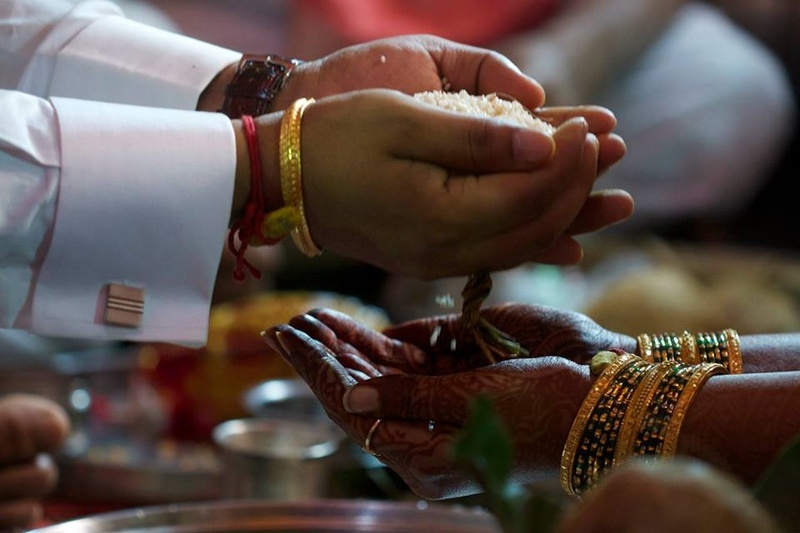 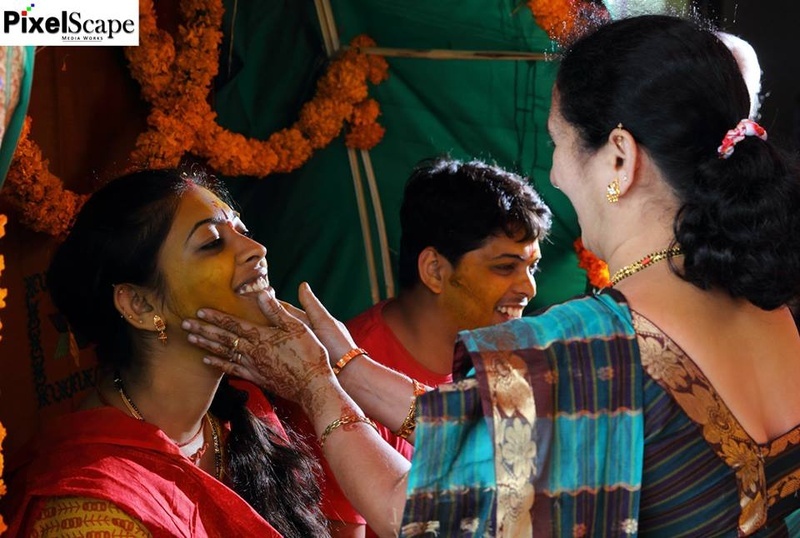 Both, the bride and the groom participated in the haldi ceremony, where turmeric paste was applied to their face by all of their loved ones. 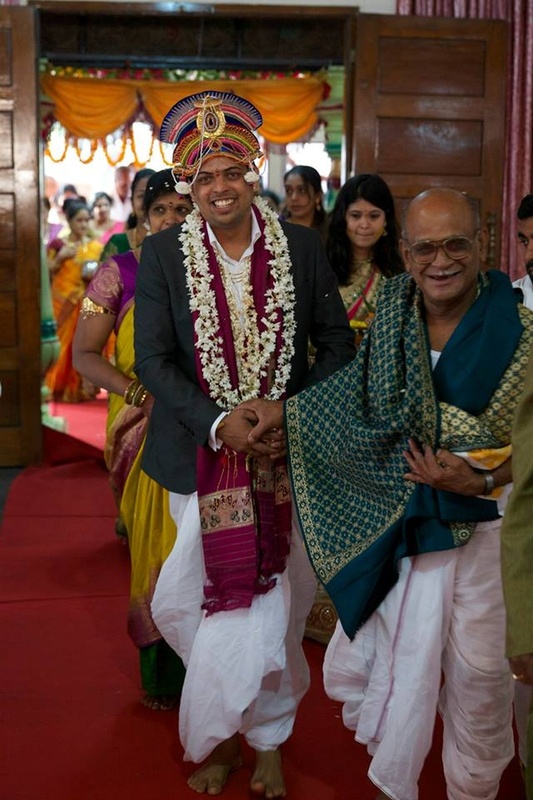 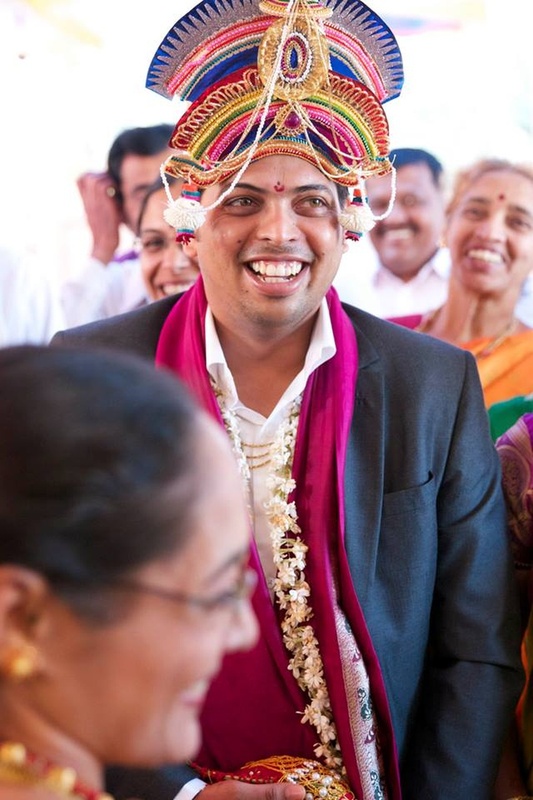 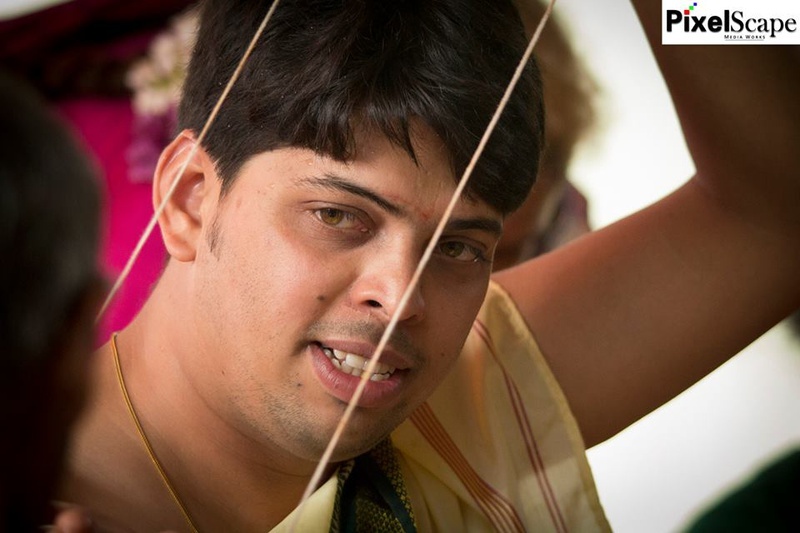 For the wedding ceremony, Arvind was dressed like a typical South Indian groom, wearing a lungi and a long white kurta. 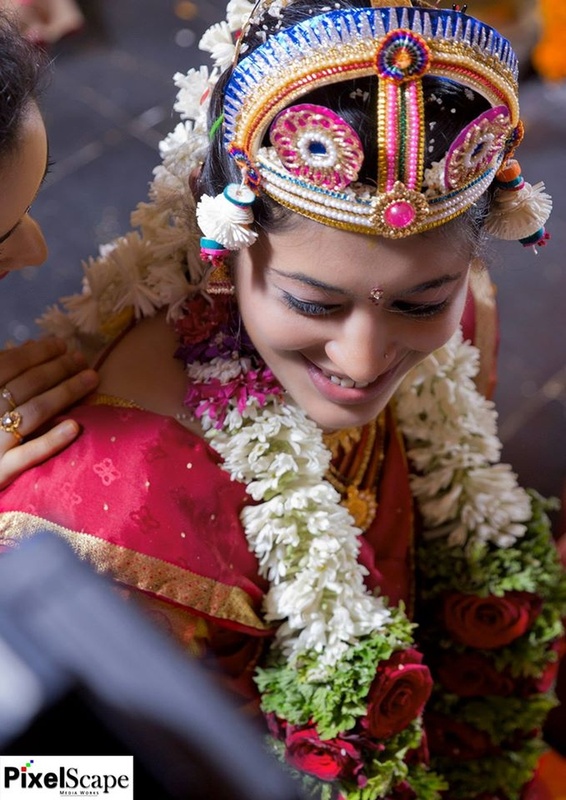 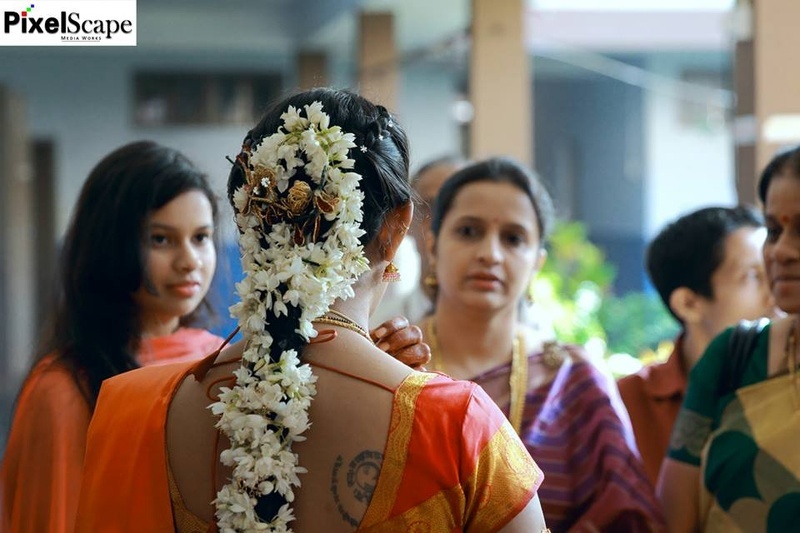 Shama was draped in a pure silk check Kanjivaram saree and had make-up that complimented her look perfectly. 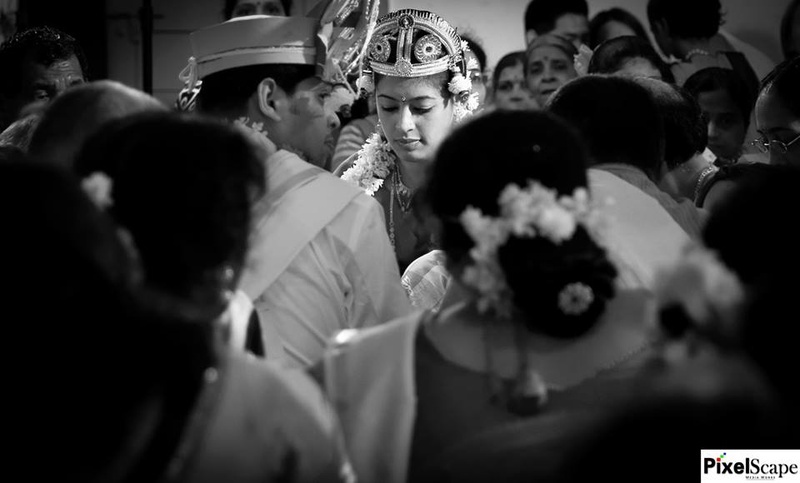 She also wore a gajra to her head that enhanced her entire bridal look. 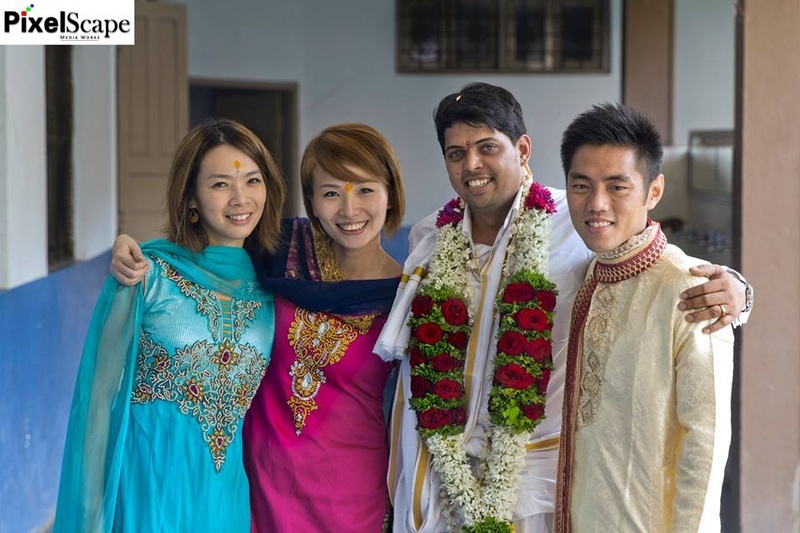 They religiously performed every wedding ritual, before taking their seven vows holding each other’s hand. 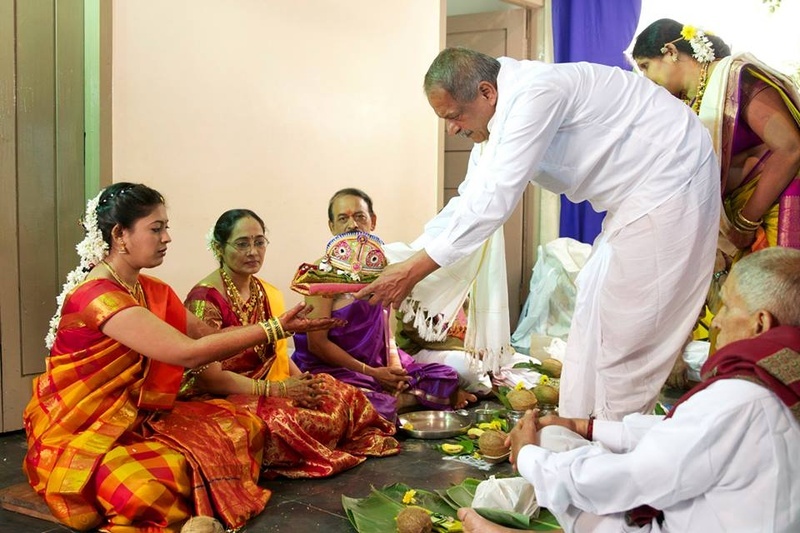 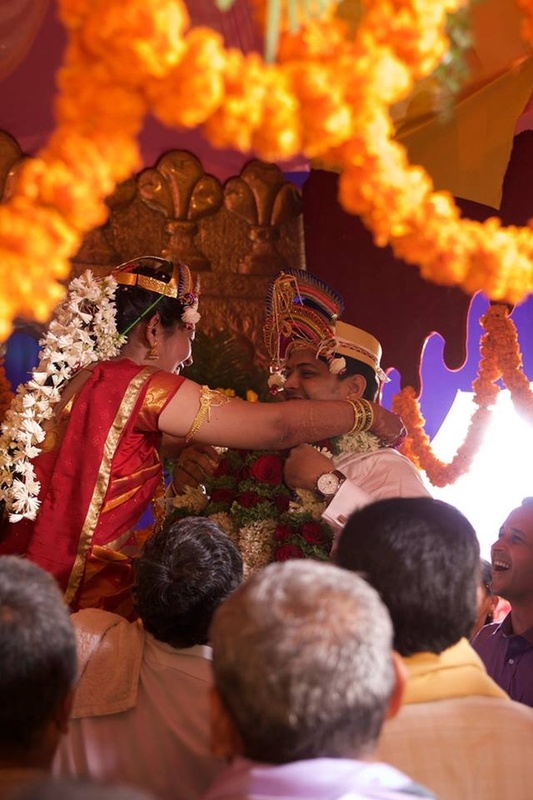 The highlight of their wedding was the playful Jaimala ceremony where the couple was lifted high in the air by their respective family members, as they happily exchanged garlands. 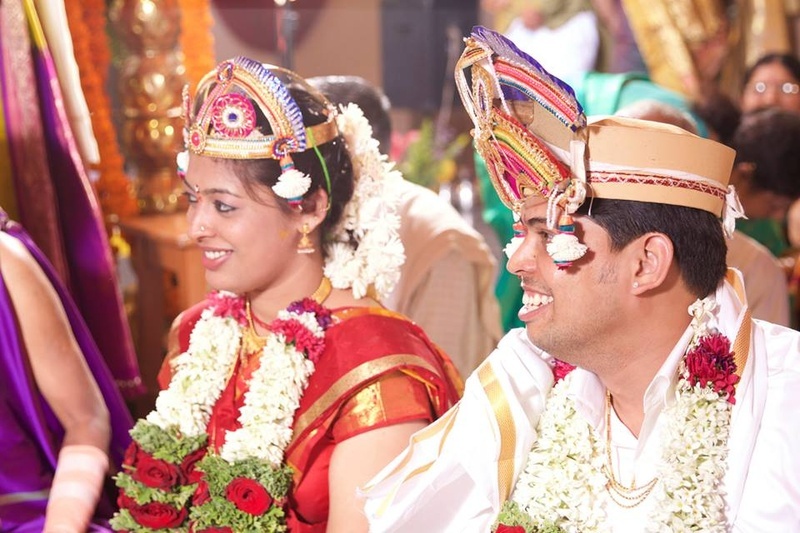 Pixelscape Mediaworks did a fabulous job by capturing each and every image in a very unique way.